The Dark Phoenix will rise again. After reports circulated over the plot for the X-Men: Apocalypse sequel, 20th Century Fox confirmed that the franchise will be revisiting Jean Grey’s iconic story line next year. On Saturday, the studio announced new release dates for the next installments of the X-Men cinematic universe: Josh Boone’s New Mutants is scheduled for April 13, 2018, Deadpool 2 will now bow June 1, 2018, and Dark Phoenix will hit theaters on November 2, 2018. Sophie Turner now portrays Jean, and X-Men: Apocalypse gave her an unmissable fiery moment that’s poised to continue in a new introduction for the Phoenix. Earlier reports claimed the film would bear the title X-Men: Supernova, but its new release features a clearer tie to the comic book arc. Writer-producer Simon Kinberg confirmed to /Film that Supernova was the “code name.” He added the film is currently “in early stages of prep” and he’s “interested” in directing. “There are definitely a few reunions happening this season,” Turner tells TheWrap’s Stuart Brazell. “Game of Thrones” Season 7 is still almost a year away, but according to Sophie Turner, the season will see a number of popular character’s uniting and reuniting. What that means is not clear as of yet, but some obvious alliances could include Sansa and Jon Snow teaming up with Daenerys once she makes her way to Westeros. We’d also love to see Sansa and Jon reunite with Arya now that she’s on her way back home to Winterfell. Beyond that though, it is still a mystery. Turner also spoke about Sansa’s future on the show, and if she is happy with her character’s current relationship with Snow. “Game of Thrones” Season 7 is set to premiere in the summer of 2017. You can watch the video at TheWrap website. Please no one spoil the latest “Game of Thrones” season finale for Sansa Stark: The actress who plays her, Sophie Turner, hasn’t seen it yet — and needs to get caught up via her boyfriend’s HBO Go account. THIS WEEKEND, Sophie Turner granted 18-year-old Kieran, who is currently living with terminal Ewing Sarcoma, his greatest wish to meet one of his favourite characters from hit TV Show, Game of Thrones, when she met him for afternoon tea in London, thanks to Rays of Sunshine www.raysofsunshine.org.uk. The County Durham teen was diagnosed with Ewing Sarcoma, a rare type of bone and soft tissue cancer, in 2010 when he was 12-years-old. Due to this, he endured intensive chemotherapy, as well as having his left leg amputated. Very unfortunately, Kieran relapsed in 2013, which resulted in him having part of his lung removed, as well as enduring more intensive chemotherapy and a stem cell transplant. Despite all that he has been through, the 18-year-old hasn’t let his illness dampen his ambition of representing Great Britain at the Paralympics. The inspirational teen is currently in training to be a T42 sprinter, having already achieved success in gymnastics, as well as working hard to raise awareness and funds for research in to Ewing Sarcoma. It was during his most recent round of treatment, and long hospital stays, that Kieran began watching Game of Thrones and it soon became his favourite show. Kieran’s parents, Nicola and Alistair, applied to Rays of Sunshine to grant his greatest wish and bring some much needed sunshine to the teen. To make Kieran’s wish become a reality, Rays of Sunshine organised for Kieran, his parents and sister, Alyssa, to travel to London. The exclusive meeting took place at The Ivy Café, where Sophie Turner took time out of her busy filming schedule to meet Kieran and spend time chatting about all things Game of Thrones. During the afternoon tea, Kieran got the chance to ask Sophie all about what it’s like to play Sansa Stark, what it’s really like on set, as well as a host of other questions. Sophie Turner has joined forces with renowned British photographer and film maker Greg Williams, to be part of a series of poignant films for Stand Up To Cancer to demonstrate the statistic that 1 in 2 people in the UK will be diagnosed with cancer in their lifetime. Stand Up To Cancer’s work funds translational research that takes developments in the lab and transforms them into new tests and treatments for cancer patients right here in the UK. Thanks to SU2C for the heads up! As someone who has lost many friends and family to cancer over the years, I’ve been a supporter of the SU2C movement here in North America for quite some time and I’m so happy and proud to see Sophie and many others standing up to it overseas as well. Social media is putting power back in the hands of activists and today’s youth, turning Twitter trends such as #BlackLivesMatter into global movements, a ten-part docu-series from The Huffington Post explores today. The #BlackLivesMatter episode is part of #PowerShift, hosted by Game of Thrones actress Sophie Turner, which examines the revolutionary ways in which today’s youth are embracing social media to change the world for the better. Opal Tometi, co-founder of #BlackLivesMatter, explains the importance of social media in letting people know about demonstrations that are taking place. Editor-in-Chief of The Huffington Post Media Group, Arianna Huffington, said: “Even though we’ve seen example after example around the world of social media deepening connections, improving lives and making the world better, we are still only beginning to understand its potential. Turner said: “Social media has amplified the voice for my generation around the world and changed the way that we communicate. #PowerShift will live on all 15 global editions of The Huffington Post and will be syndicated through the AOL On network. The series was made in partnership with GroupM Entertainment (GME) and produced with Broad Bean Media. If reposting the captures for edits, Instagram, Twitter, Tumblr, etc, please be sure to credit the site. Thanks. Hi! “other” mod Hannah here. I may be in the unfortunate position of living on the other side of the world so I’ll probably never meet Sophie, but in some cases I’m lucky – Australia gets to see X-Men Apocalypse a week before the US! (Give me a moment to gloat… okay done). I’m undeniably not close to the X-Men universe – I have seen all the films but I’ve always been a casual fan, and I’ve never seen an X-Men movie and come out of it thinking it was anything special. Apocalypse definitely changed that opinion. I can’t possibly preface this with “unbiased opinion” because… I literally co-run this Sophie site and, admittedly, I wouldn’t have been nearly as excited about it if she wasn’t in it. However, I can tell you that overall it is a genuinely good film, packed with emotional moments from several new and pre-loved characters, that stands up well against the oversaturation of superhero films around nowadays (and upon reflection, I think it is superior to Batman VS Superman). 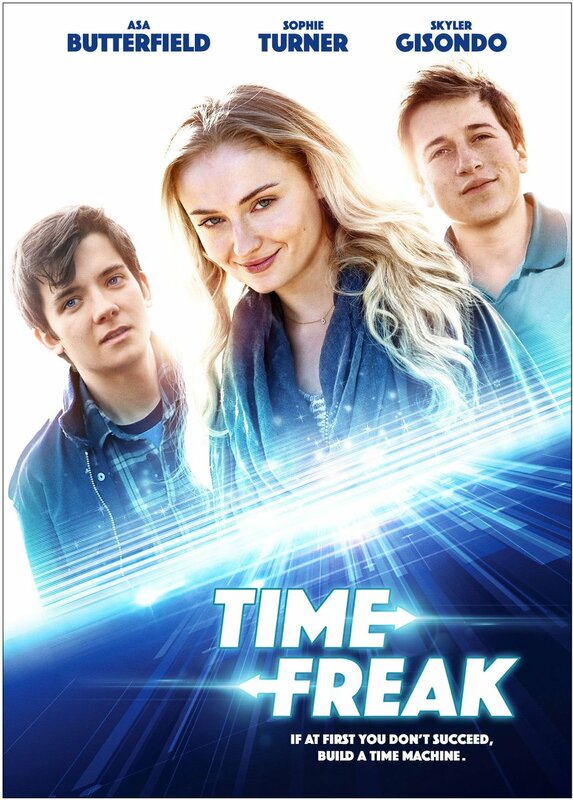 Sophie Turner’s performance as Jean is amazing. Like she’s said before, her take is quite different from Famke Janssen’s – Famke’s older Jean is a lot more self assured and confident with her abilities, while Sophie’s Jean is a young girl struggling to control the growing powers within her. Sophie imbues the character with the kind of fragility and strength we know her to portray so well through Sansa Stark – and yet, she’s almost unrecognisable. She definitely shows her range in this film, nailing an American accent and showing this innate mental power that makes Jean such a unique mutant. You see why people might be afraid of her and the potential she possesses, while also feeling for how out of place in the world she feels because of it. She emits a calmness and kindness towards several key characters in the film, acting as a kind of intrinsic tether in the madness, but there’s a darker edge too. There have been rumours that X-Men might revisit the Dark Phoenix arc, and there’s no doubt in my mind Sophie would do incredible things with that material. Overall, I appreciated the subtleties in Sophie’s portrayal but was blown away by the big moments she got, which she’s often not afforded on Game of Thrones. Jean was really given a lot of moments to shine in this film (I would even say that her arc was the strongest and most promising) and I do think audiences will warm to her immediately. I can imagine Sophie was pretty chuffed with some of her scene partners, and she held her own among some very experienced and prolific actors (one in particular is a nice surprise). For the first time in my life I’m genuinely enthusiastic about X-Men and its future – all of the young actors shone (Tye Sheridan especially) and it will be wonderful to see how the universe progresses with these new faces. Loved it! The ‘Game of Thrones’ and ‘Boardwalk Empire’ stars will appear in a segment to be directed by Tom van Avermaet. Game of Thrones actress Sophie Turner and Boardwalk Empire’s Jack Huston have signed up to star in a segment of the anthology film Berlin I Love You. The film is a sequel to the Cities of Love franchise following Paris je t’aime in 2006 and New York, I Love You in 2008. Avermaet’s segment will shoot this summer in Berlin. Claus Clausen and Edda Reiser are producing for Walk on Water Film along with Josef Steinberger of Rheingoldfilms. Emmanuel Benbihy, creator of the Cities of Love franchise, will act as executive producer. Turner, who plays Sansa Stark on HBO’s Game of Thrones, next appears in Bryan Singer’s X-Men: Apocalypse.